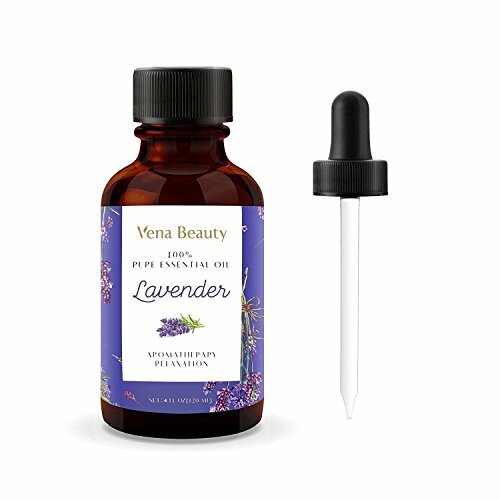 Blooming with a sweet and warm floral fragrance, the Vena Beauty Lavender Essential Oil benefits your body and mind. It’s wonderful for aromatherapy, pain relief, treating acne and hair loss, reducing stress, relieving headaches, improving blood circulation, naturally repelling bugs and more. Diffuse for aromatherapy. Apply directly to the scalp. Blend with carrier oil and massage into the joints. Add a few drops into the bath. Mix into lotions or massage products. Dilution not required. If pregnant, nursing or suffering from a medical condition, consult a healthcare practitioner prior to use. Avoid contact with eyes or broken skin. For external use only.